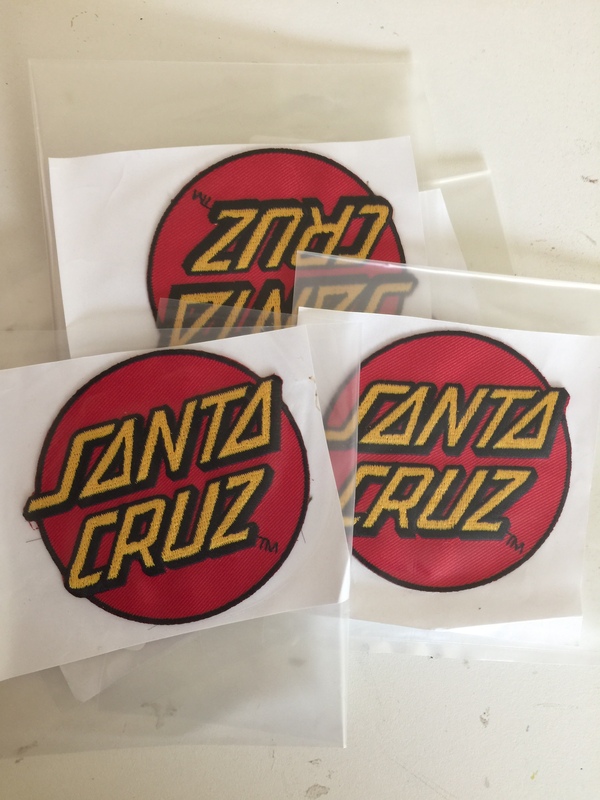 I recently had some friends move to Bend, so I wanted to get them some Santa Cruz memorabilia. 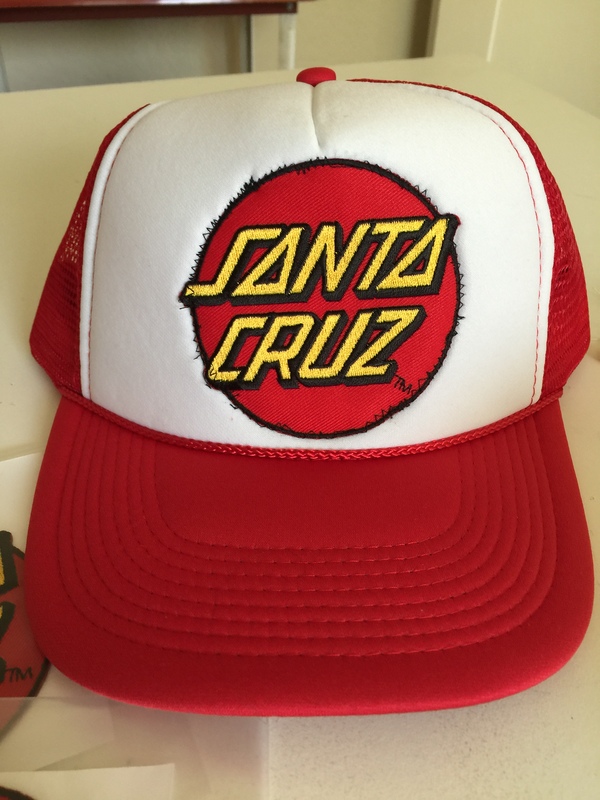 I looked for a trucker hat with the famous santa cruz dot patch and discovered they didn’t exist. All of the trucker hats had heat placed decals. 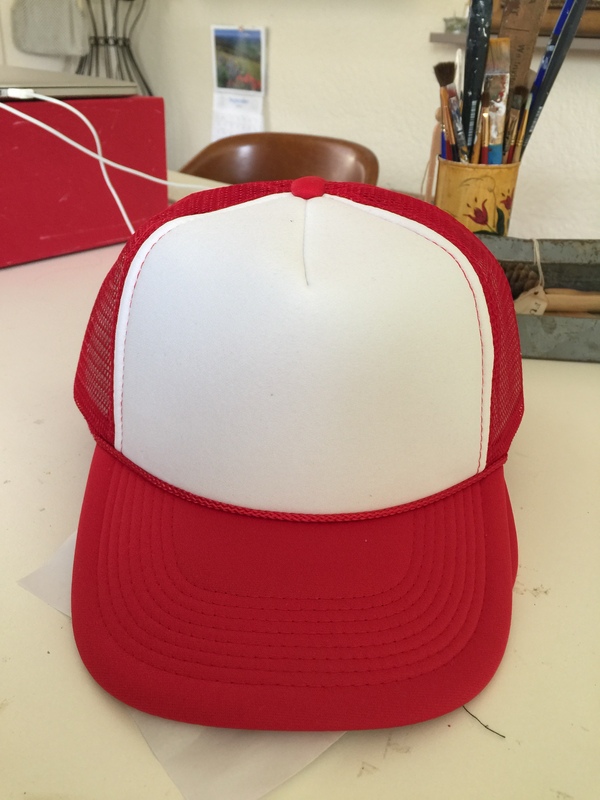 So, I went about creating my own trucker for them. Here is what the process looked like. It was super fun. Love how they turned out. Hope my friends do too. What have you been up to this week? 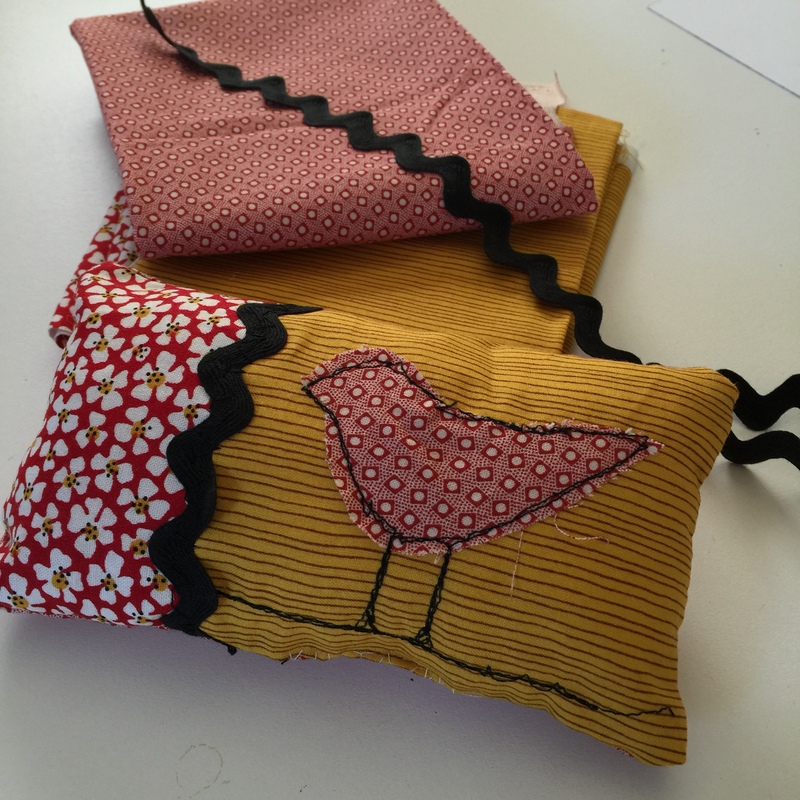 I just completed my first sewing project, a pin cushion and I am extremely pleased with it. 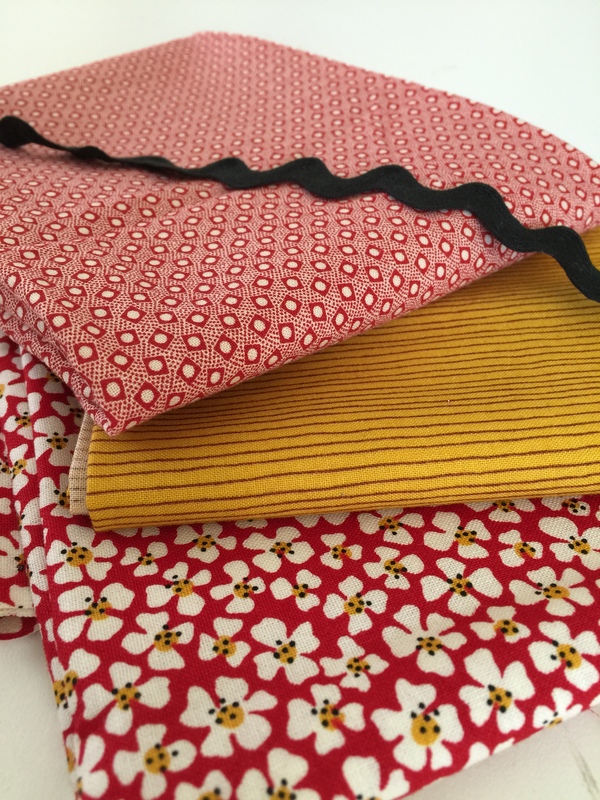 To start with, I choose three different, coordinated fabrics. I also knew that I wanted to try drawing with thread. 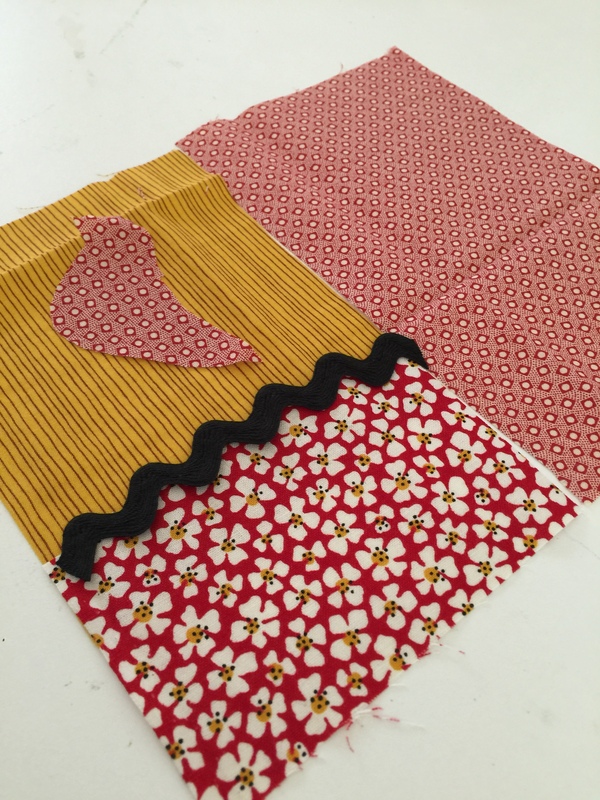 Here is the fabric I picked. 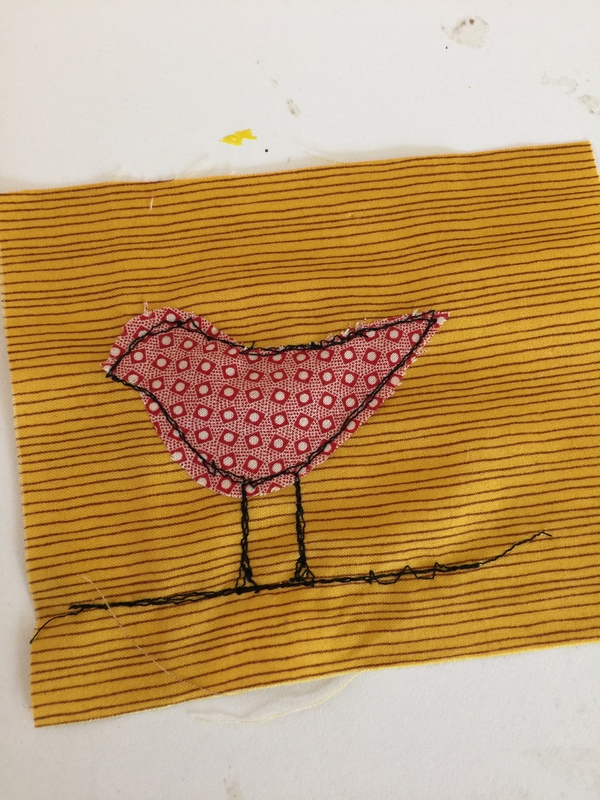 The first thing I did was cut out the shape of a bird from the material I was going to use for the back and sewed it on the front of the pin cushion. I then ran around the outline several times using black thread. I added some legs and of course a limb for her to stand on. Love how she looks standing on her limb. I was surprised that it was super easy and I didn’t need a special foot or anything. 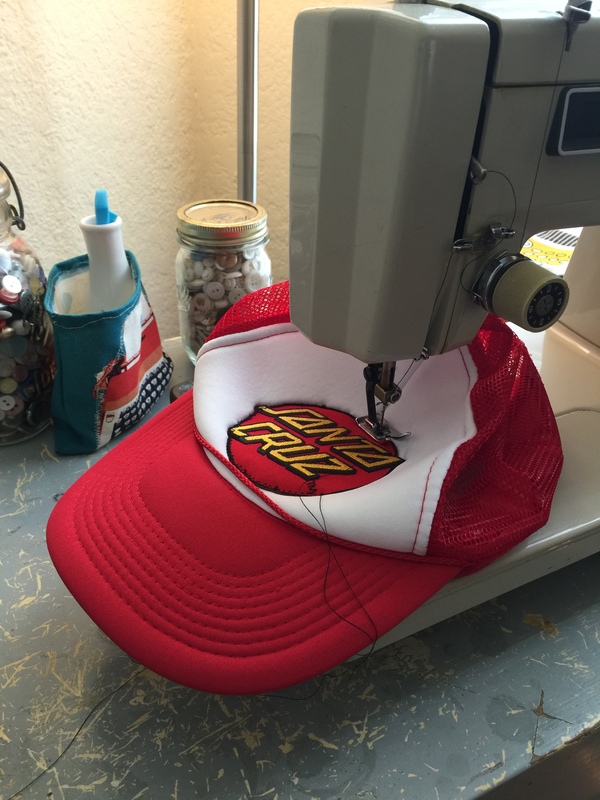 This is really fun and I want to do a lot more of drawing with a sewing machine. I then took two pieces of fabric and sewed them together for the front. I added some rick rack for a little accent and to cover the seam. This wasn’t necessary, but made it look even cuter. 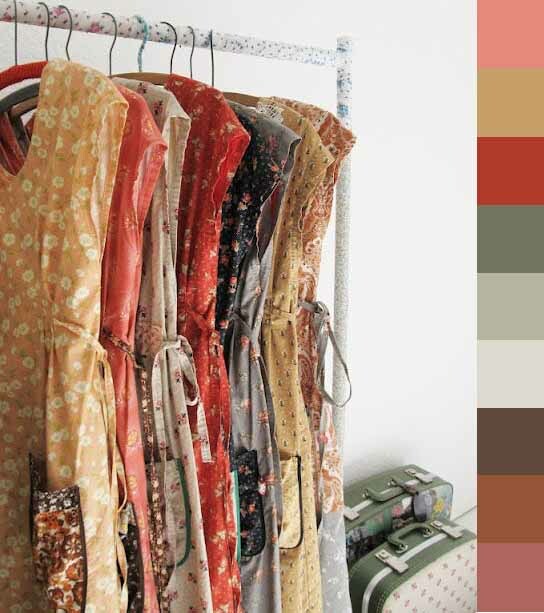 Love me some rick rack, reminds me of dresses my Nan and mom sewed when I was little. Next, I sewed the front and back together, flipped it right side out, and stuffed it. 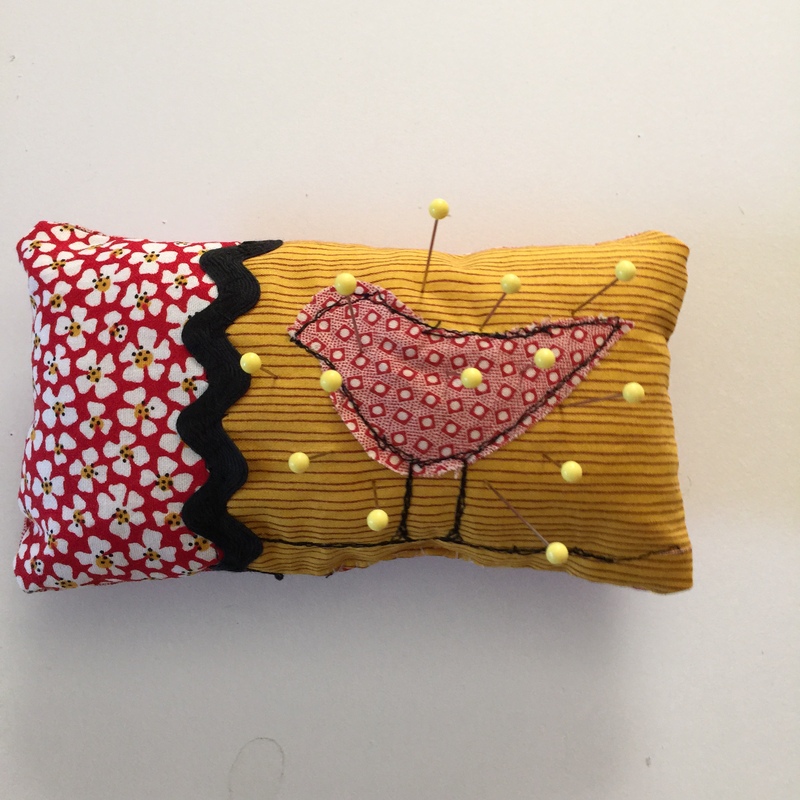 Here it is a pin cushion with a bird on it. And here it is with pins. I LOVE it!